Award winning tyre sealant from the folks that invented tubeless conversion and redefined puncture protection. 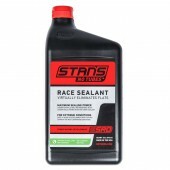 Unlike other tyre sealants, Stan’s Tire Sealant is a very thin, low viscosity liquid that coats the inside of the tyre and carries with it specially formulated sealing crystals. 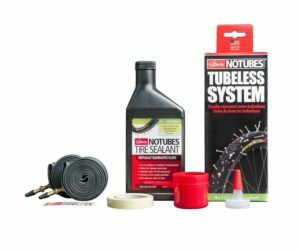 The low viscous nature allows the sealant to quickly reach the puncture site and the crystals aid in sealing large holes, something which thicker or foaming style sealants cannot claim. 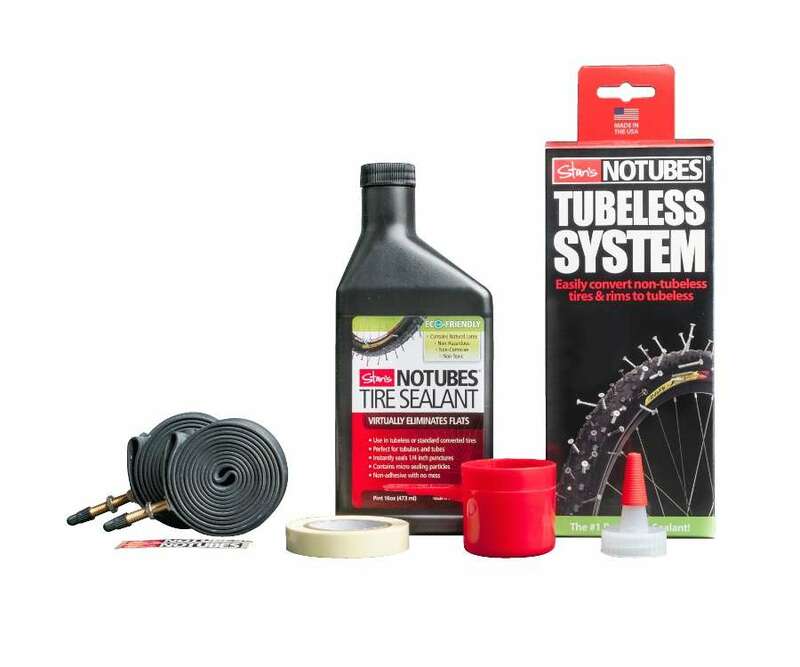 Stan’s Tyre Sealant will stay liquid in a mountain bike tyre with a thin casing for 2-7 months on average. Riding in arid climates or storing the bike in a hot area will requires more frequent monitoring of sealant levels. 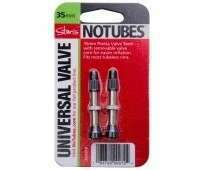 In late 2000, Stan developed a method of converting an existing mountain bike rim and tyre to tubeless use. 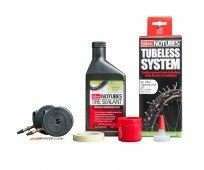 By removing the traditional tube and replacing it with a molded rubber rim strip to seal the spoke bed of the rim and a liquid tyre sealant to seal the tyre and prevent punctures, a whole world of opportunities was created.